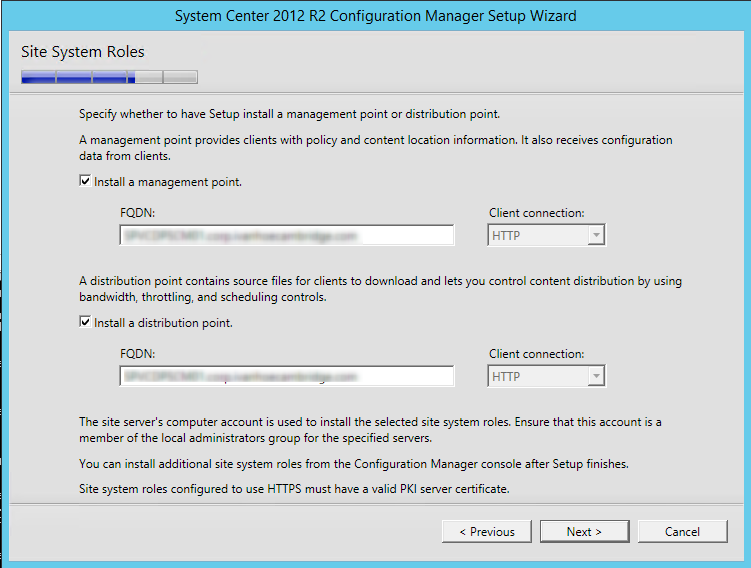 In the first part of this SCCM 2012 and SCCM 1511 blog series, we planned our hierarchy, prepared our server and Active Directory. 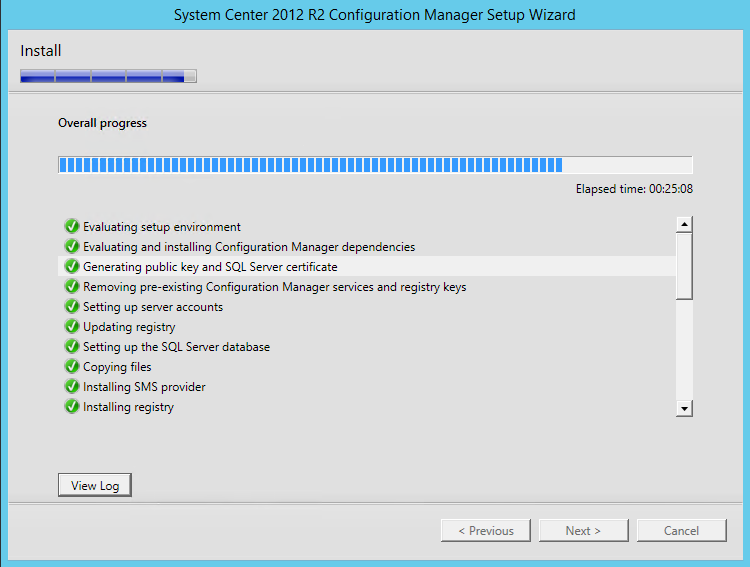 In part 2, we installed and configured SQL in order to perform SCCM 2012 R2 installation. 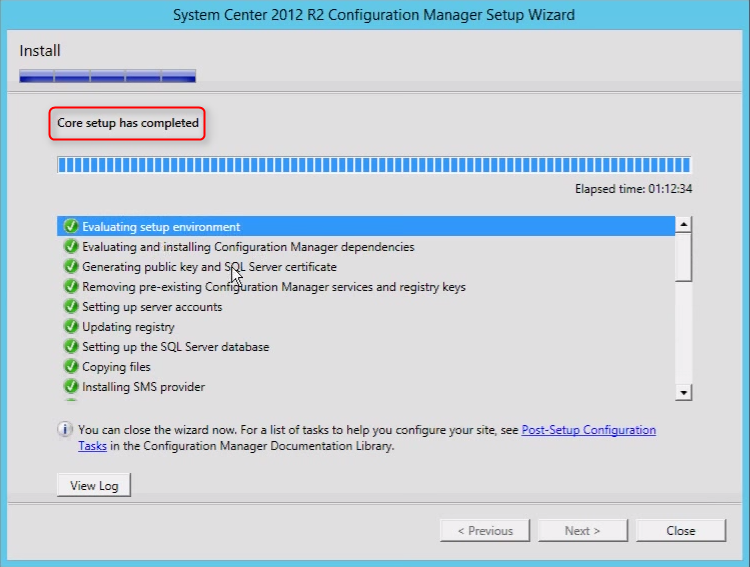 In part 3, we will run the prerequisite checker and proceed to the SCCM 2012 R2 installation. 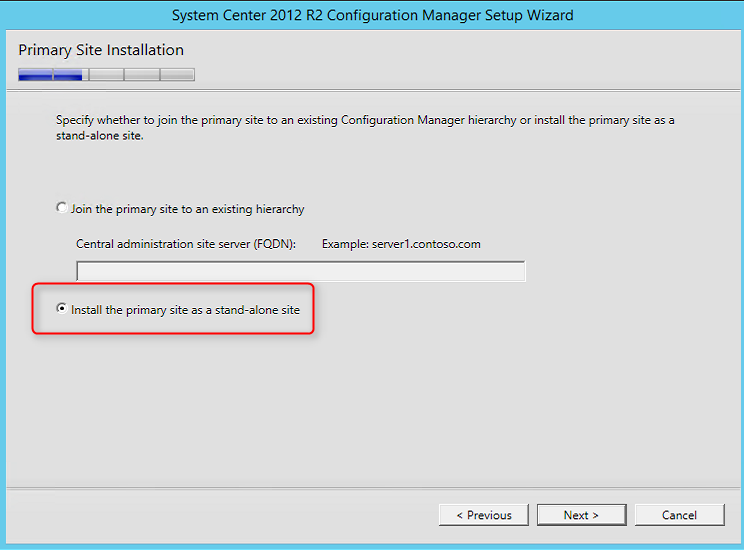 We will install a stand-alone Primary site. 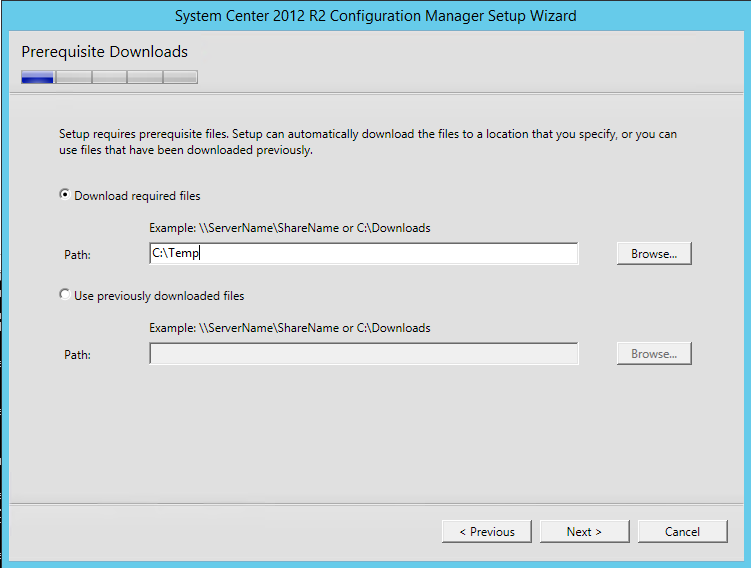 Before launching the SCCM 2012 R2 installation, we recommend to launch the Prereqchk tool in order to verify if all components are configured correctly. 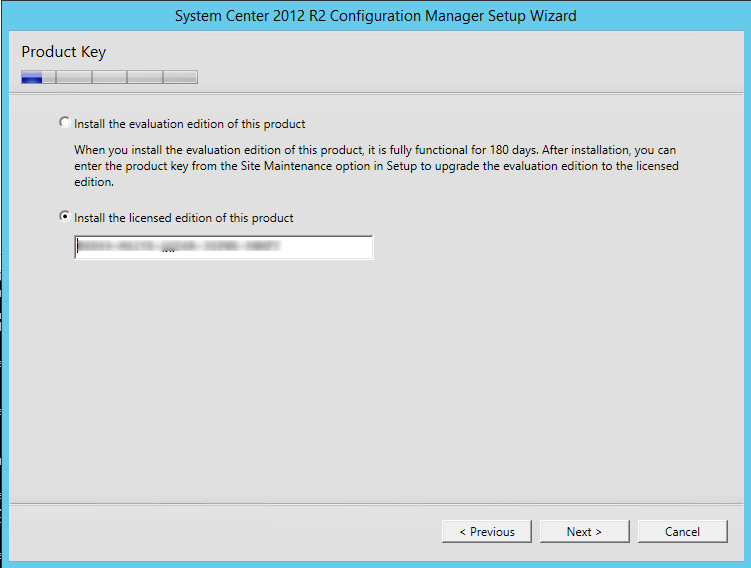 The SCCM 2012 R2 installation wizard will also run this check but if you’re missing a requirement, you’ll have to go through the whole installation wizard again after fixing it. We prefer to use the standalone tool. 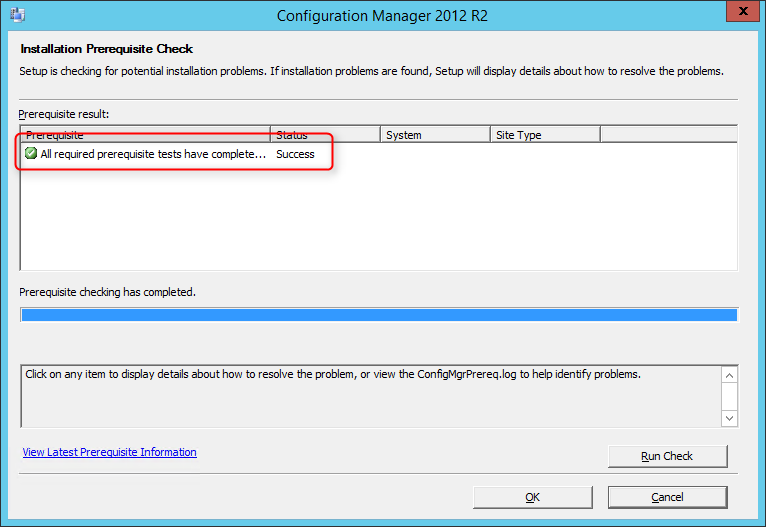 Refer to this Technet article to see the list of all checks done by the tool. 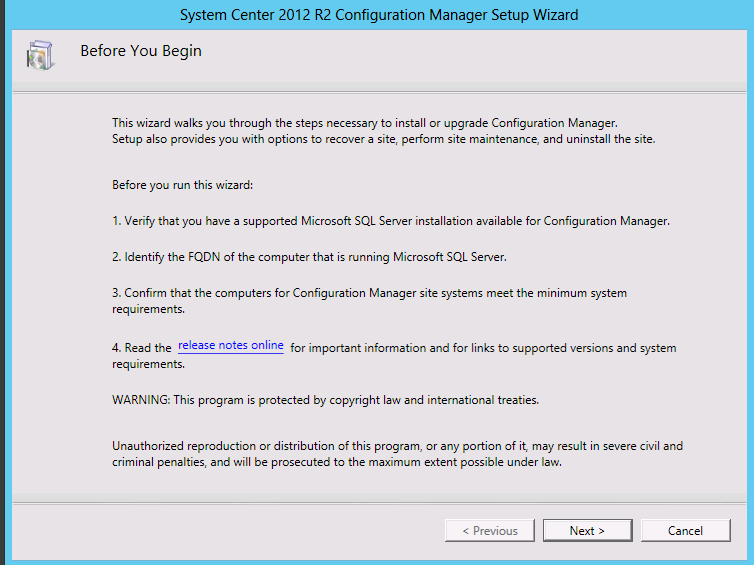 If you have any warning or error refer to this Technet article in order to resolve it, or go thought part 1 and part 2 of this guide. We are finally ready to launch the setup. First, reboot the server. This will make sure that the machine is not in a Reboot pending state. 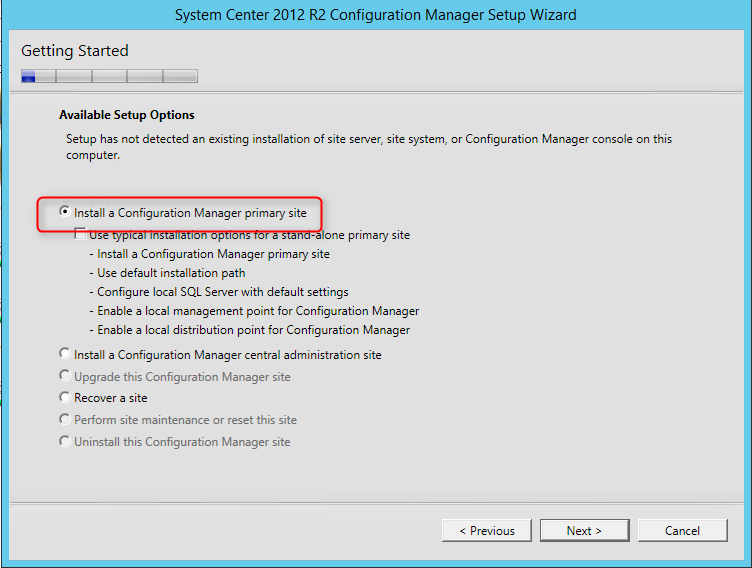 Note : Site codes cannot be used more than one time in a Configuration Manager hierarchy for a central administration site or primary sites. 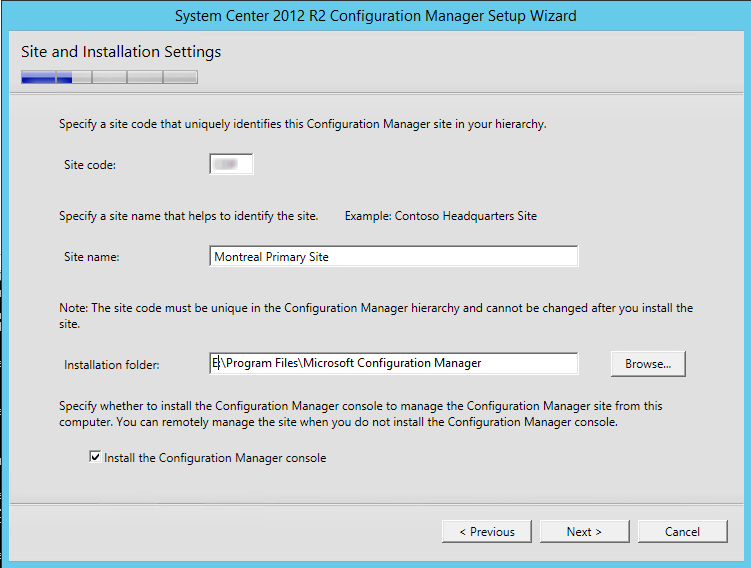 If you reuse a site code, you run the risk of having object ID conflicts in your Configuration Manager hierarchy. This applies also if you’re doing a migration from 2007. 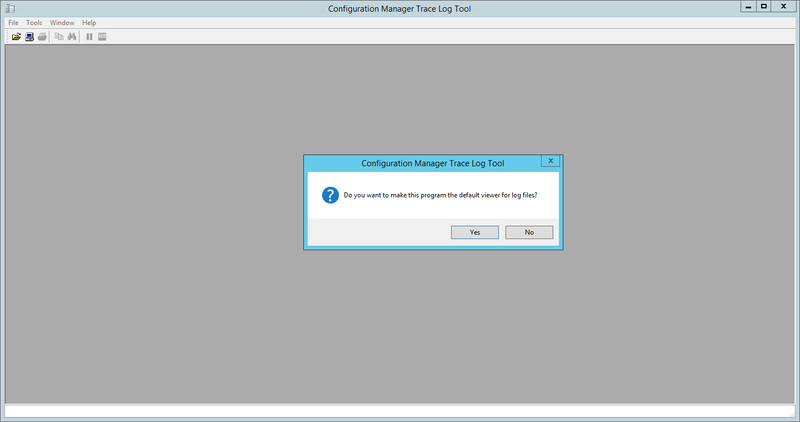 Enter the path to the SQL Server log file. Locate this on the SQL Logs Volume. 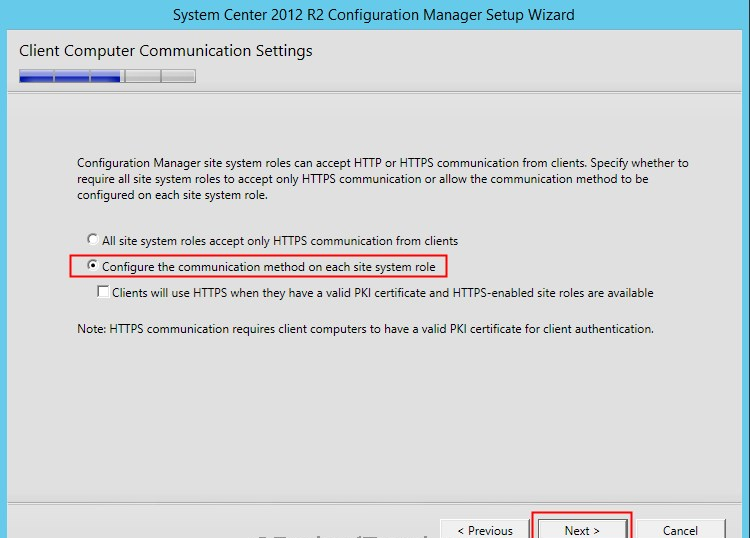 On the SMS Provider Settings screen, leave the SMS Provider to the default value which is the local server. 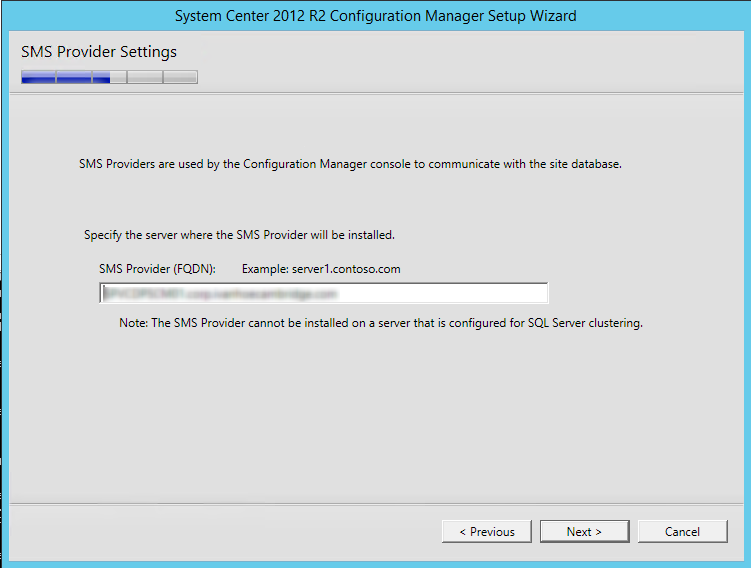 Refer to the following Technet article to read about the SMS Provider. Here’s our Prerequisite Check screen again. 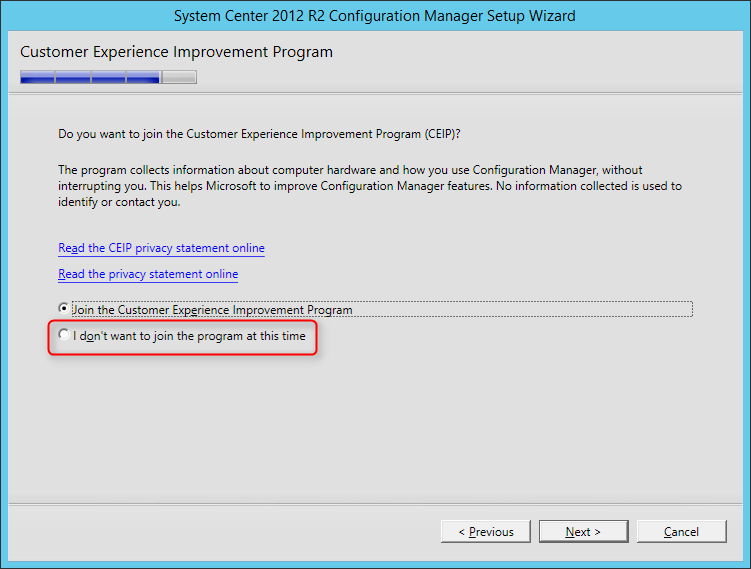 You should have no error since you’ve run it before setup … right ? The installation is in progress. You can count between 15 and 30 minutes depending of your server specifications. 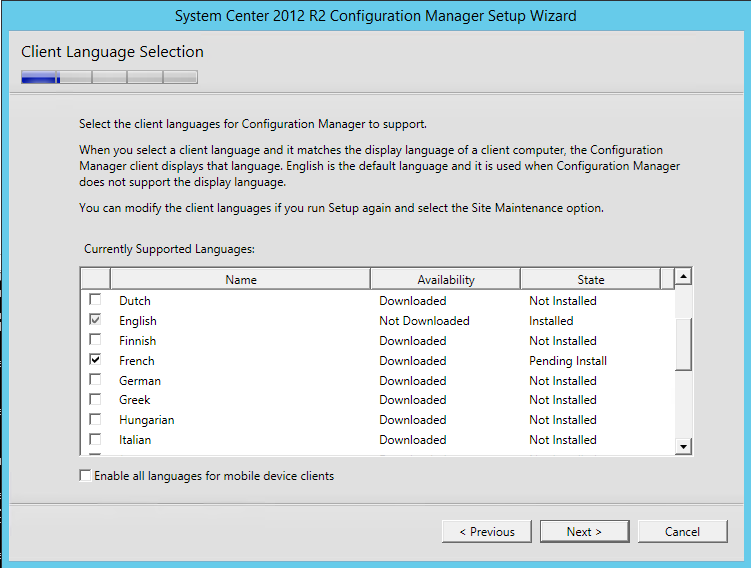 After the setup, we strongly recommend to install the latest Cumulative Update. 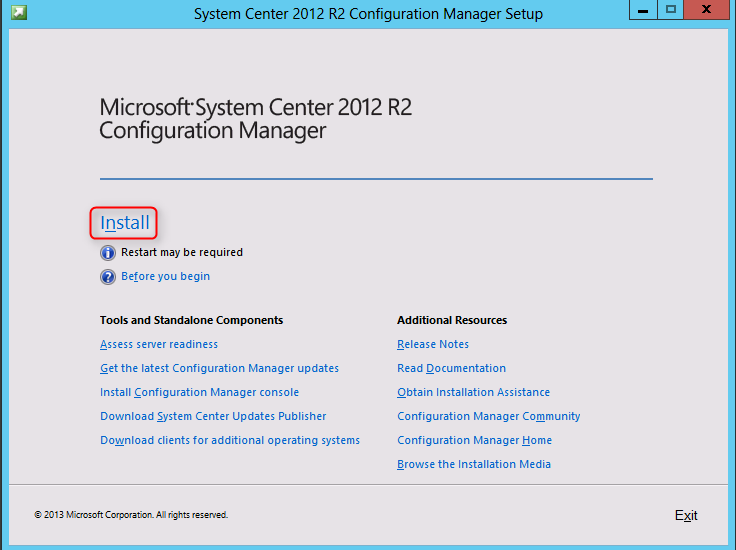 Refer to our CU4 installation guide to apply it. 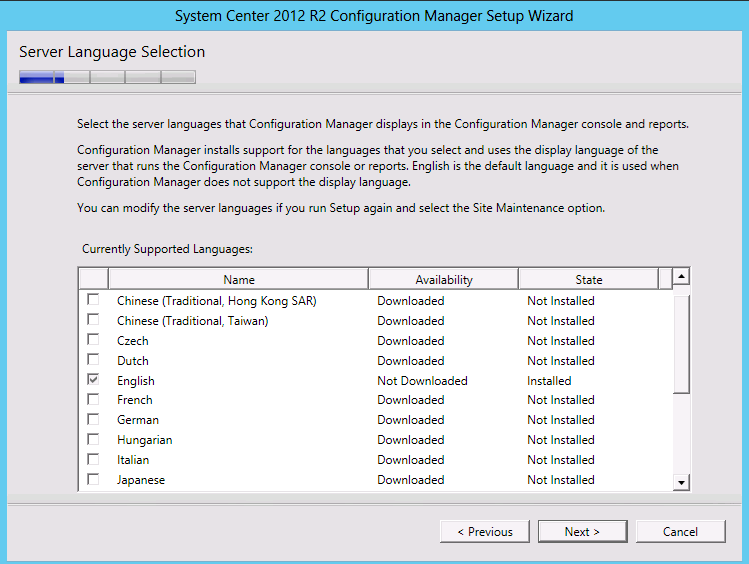 This toolkit contains fifteen downloadable tools to help you manage and troubleshoot Microsoft System Center 2012 R2 Configuration Manager. 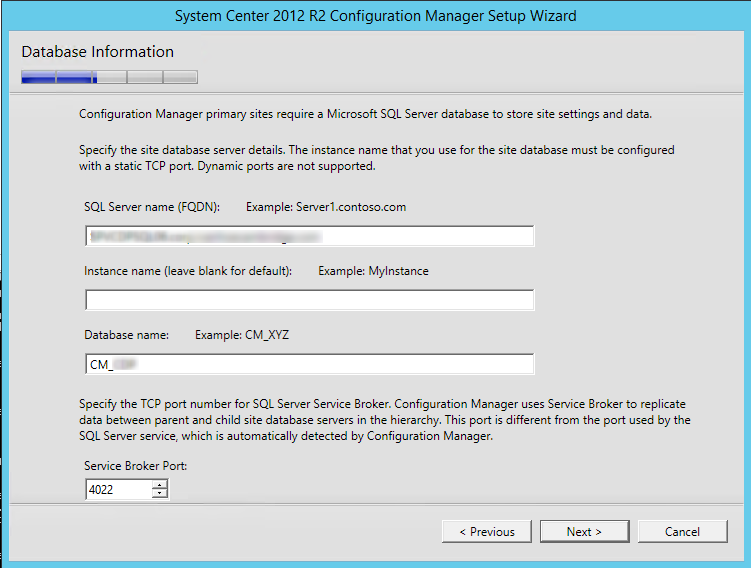 I followed your guide step by step, I keep getting SQL port errors no matter what I do… I have thoroughly followed your instructions on setting up SQL however I get an SQL Network Errors as if I haven’t opened the SQL ports. 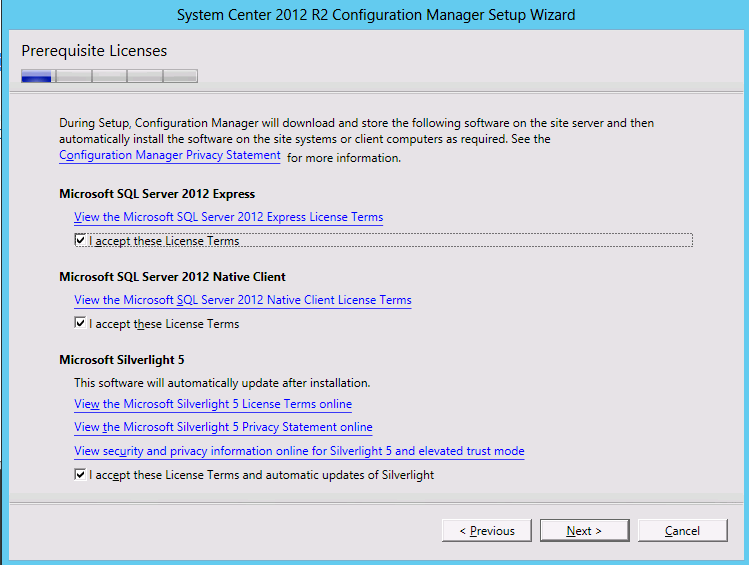 I have tried everything and I am getting pretty frustrated with uninstalling SQL and reinstalling. Please any help would be much appreciated. section “Disks”, you set drive e: for SQL database, is that correct? Thanks ! The link has been updated.